The panel had the last fitting today. Found some issues I still needed to correct but I think it is just about done! Yeah! Although the panel easily is removed from the plane with the radio cans in place with no wires, I’ll need to write a procedure up on exactly how to remove all the interferences prior to actually taking it out. There sure would be a number of steps…. It is quite impressive with everything in place. 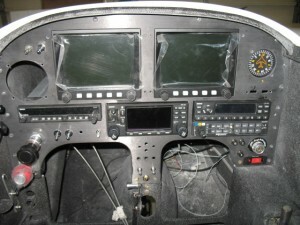 The Trio Autopilot head was sent back to Trio because the display was not working. I also wanted to get it upgraded to the latest firmware (which includes support for Grand Rapids GPSS and GPSV. Also completed to day was the baffling mods for the engine. 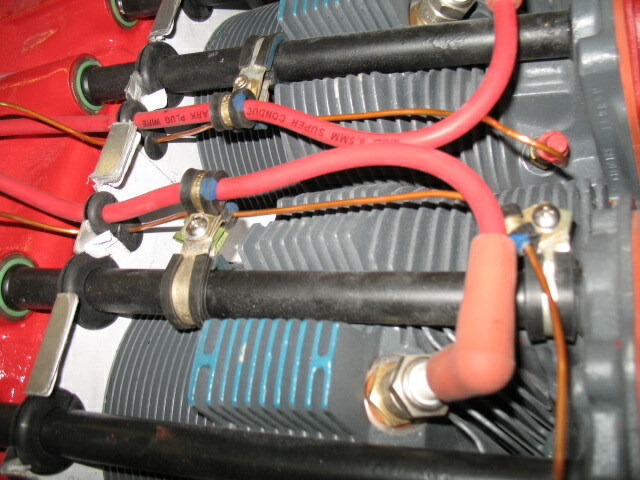 As soon as the instument panel is set off for lettering, I’ll be able to complete the engine work. I have been working on my plane for the last few days…. I spent a whole day relocating the stormscope antenna (to reduce drag). Found out it wouldn’t work properly, so I spent another day relocating it back to the original spot. I guess this is why they call it experimental aviation. The crazy thing is I went flying today with it back in the “old spot” and it doesnt work as well as it did before. That thing drive me nuts! I started back on my project plane. 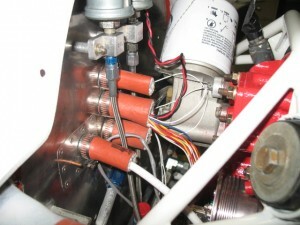 My immediate objective was to relocate the servos becuase of the depth of the instrument panel radio cans. 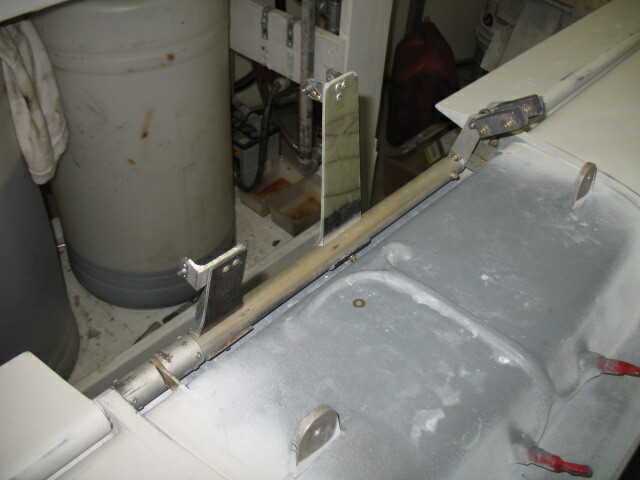 New control arms were manufactured and installed on the elevator torque tube. This is the final installation. 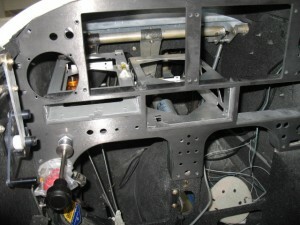 The elevator autopilot servo on the left and the trim servo in the center. 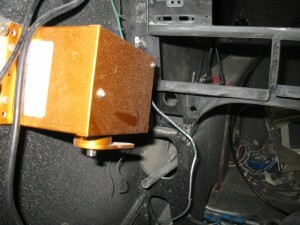 The control arm for the servo clears the radio can by 1/2″ . 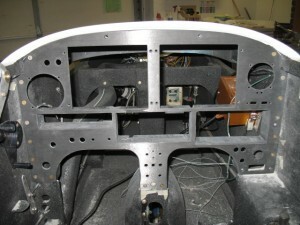 With the panel installed. It looks good for the next step, install EVERYTHING to see if there are any more problems. If not the panel is off to the fabricators for lettering. After waiting for months looking and checking out phones, I finally decided upgrade to a data phone. Yes, I am going over to the dark side of unlimited data, texting (whats that), talk, everything. I remember my first cell phone and how reluctant I was to get one. I didnt want to be “tethered” to everyone via a wireless connection. Just thenk about it, I’ll be a the beck and call of everyone and expected to be there all the time. Years later here I am, enjoying the on line community and rapid pace of instant contact. I decided on the Sprint EVO. It is at this point the most advanced and highly rated phones on any market (including the iPhone). This phone has it all from HDMI out (which I can hook up and stream movies directly to a HD TV) to recording HD movies, video conferencing, 8 megapixel camera, creating a wifi hot spots for up to 8 computer, sending movies, pictures, EVERYTHING you can possibly do on a phone/computer. It is also a 4G phone which means it’s data through put is as fast as a cable modem (if you are in a 4G market which will take about 2 years to get here in Charleston). They are VERY hard to get right now as they are extremely popular and out of stock just about everywhere. Thank you for contacting Sprint today and for giving me an opportunity to resolve your issue. I have made a personal commitment to provide my customers world class service. My goal is to make certain you can say YES when asked if your issue was addressed and resolved. Improving our customers’ experience and resolving issues on the first call are our top priorities. If you require additional assistance, or, you believe your issue was not resolved, please reply to this e-mail. Your response will route directly to my manager……..
To answer your automate survey question, YES and NO. YES your customer service rep did an outstanding job of changing my plan while retaining my bonus minutes which made me very happy. NO Sprint has some screwed up business policies which does its’ best to make me wonder if I am making the right choice by continuing my association with Sprint. After making my decision to upgrade my plane I quickly went to the local Sprint store to buy my EVO. They had one in stock now! I was told if I purchased immediately it I would have to pay a $40 pro-rated amount to switch plans (to execute my more expensive data plan) immediately instead of 2 weeks from now on the Sept 26. I also so found I could NOT purchase the phone now for future (since it is in stock) with out the plan. If I waited 2 weeks, it might NOT be in stock and would have a plan without a phone. This is very upsetting to me as a customer, and a senseless business practice. I decided to wait two weeks. So here is the bottom line. 1. Sprint policies once again upset me off as a customer. 2. The EVO phone may not be in stock when my plan changes. 3. I will keep my old plan (saves me $40), so Sprint does not lock me in under a new contract for 2 more weeks (I will be looking for something else in the mean time). 4. Sprint does not get the benefit of me paying for a higher $20 data two weeks soon than scheduled which means Sprint loses $20 in profit. 5. Allowing me to change plans immediately does not cost Sprint anything. 6 . Sprint once has proven why Consumer Reports ranks Sprint at or near the bottom in customer satisfaction and why Sprint has had a mass exodus of customer to competing services. Now all said, I am happy with the cell phone service I have had with Sprint for the past 10+ years. It is little things like this stupid policy where I, as a customer, WANTS to upgrade to a more expensive plan, NOW, and being told I have to pay more to do so which makes my dealing with Sprint customer service painful and to be avoided…. In my opinion Sprint has one thing going for it…..price. Sprint’s customer polices haven’t changed over the years which is sad after seeing how hard Sprint is fighting to retain a solid customer base. It will be interesting to see if I hear anything back from Sprint. Either way, the last EVO at the Sprint store has been sold. Hopefully they will be more stock in the next few weeks. I have always heard a little adage that “IF you wash your car, THEN it will rain”. The transformation of Sherman in to a VEGECAR car conversion is nearly complete. 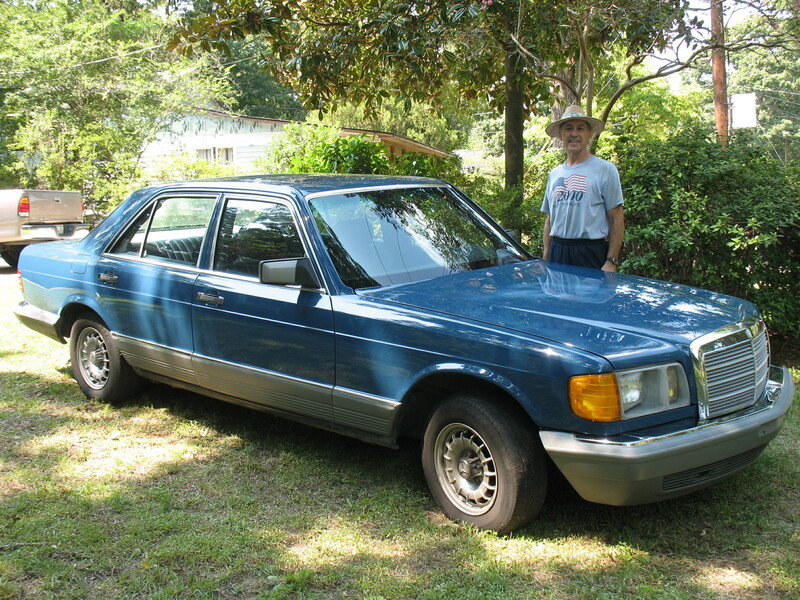 The automatic system I built works perfectly and in full auto mode, I am getting 24 MPG on waste vegetable oil, and really dont know how miles on diesel fuel since I haven’t gone to a gas station in over 2 months (still have 3/4 tank of diesel). I am going to have to switch to diesel for a while to just use it up and take a few pounds off Sherman’s legs. Put him on a diesel diet. 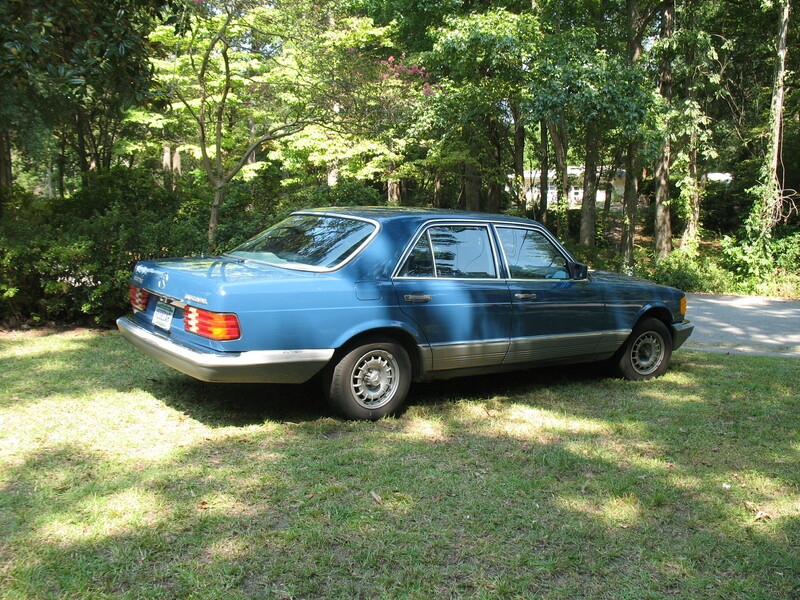 Since it was such a beautiful day in Charleston and having not spent enough quality time has been spent with Sherman lately, I decided he needed a good cleaning and spruce up. Looks even better with his daddy in the picture. 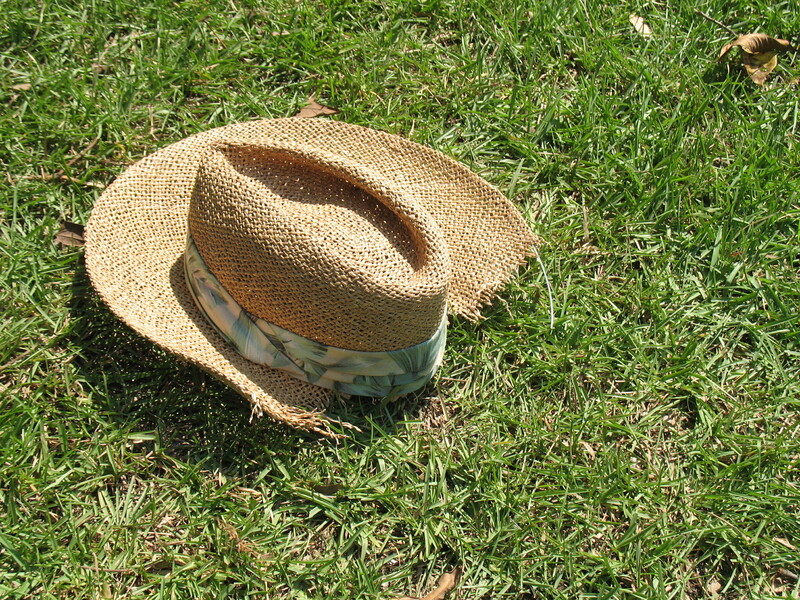 The hat I am wearing has an interesting story. On the way up to Oshkosh this year I stopped by to visit Jack Morrison’s new EZ racer. I’ll have to post more pictures of Jack’s fantastic work. What a great plane he is building. As I was taxing to take off, I saw my hat in the distance. It’s still there looking good! 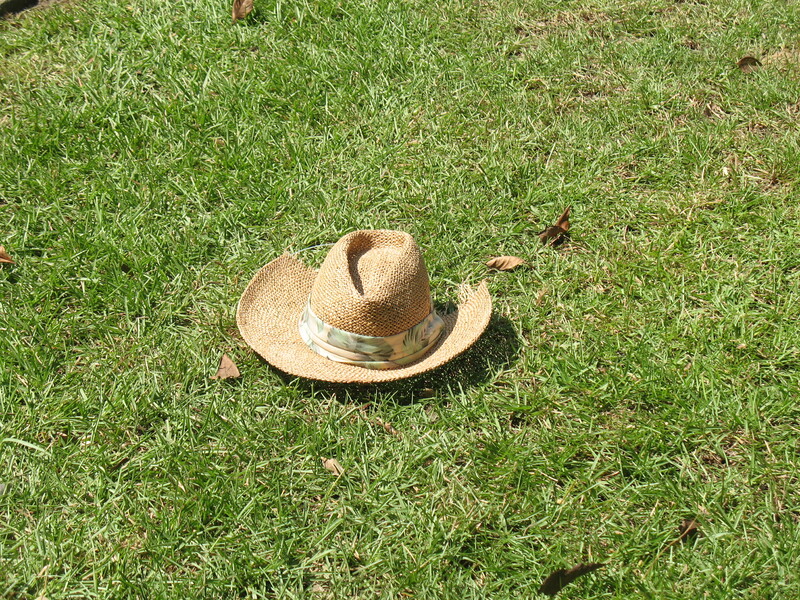 As I slowed to pass it, it became apparent the hat went through the prop (the second time the prop has chewed up one of my hats). I was just going to leave it there as I was to0 embarrassed to deal with it, but I called the control tower and said “Tower, 29TM, there is a hat on the taxi way. I’ll stop and pick it up for you”. Tower was more than happy to have me get rid of some FOD for them, and they thanked me for picking up the trash. 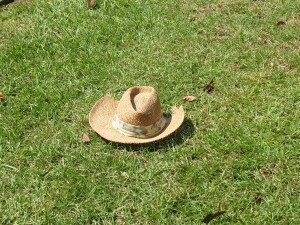 Later at Oshkosh, I wore the at some canard events, and when asked, I just said “The plane ate my hat”. Ah, the joys of having a pusher airplane. Sure enough, the old saying worked. Later today, we had two torrential rain storms. I like the way the water beads up on the a car with a fresh wax job. The last few days have been total devoted to getting the panel ready for lettering as I thought the effort would be short and easy. While looking at the panel I decided I didn’t like the big chrome bezels of the LED lights. I floxed the holes shut and redrilled them to accommodate simple LED holders. I dont like the knobs either, so I am going to machine some that I like. 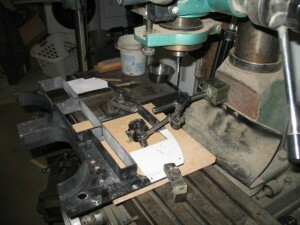 It is easy to do on a lathe. 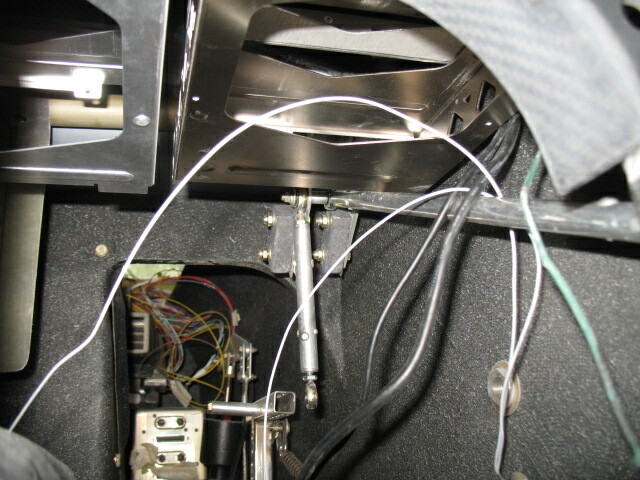 I also cut the shaft of the potentiometer control shaft off so I can reduce the exposure of the knobs. I decided it was best to fully assemble everything to make sure there were no surprises. 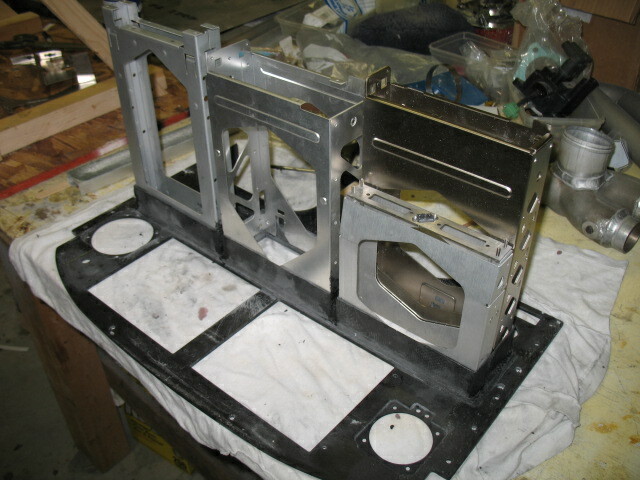 The nutplates for the panel were floxed in and I like the stiffness of the panel when placed in it’s frame and secured. 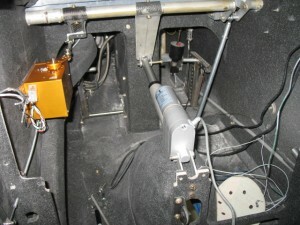 Note the gold box in the above picture (the autopilot elevator servo. When looking from the other side I noticed it was going to hit the com panel and transponder radio cans. FU****K!! The servo has to go. 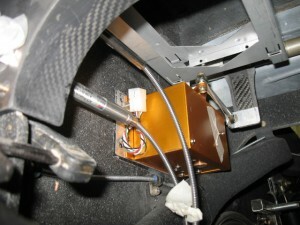 You can see the carbon box just forward of the servo into which the radio can is secured. Bye bye, servo…. Not only did the servo hit but when I changed out from a Garmin 327 to a Garmin 330 transponder, I found the transponder’s can was 2.5″ longer than what I had planed for which made the can hit the elevator control rod. SH*T! Major redesign time! Hum, IF I switch the places of the com and transponder then the com panel (with the shorter can) will allow me to gain the clearance I need for the control stick. After a few hours work…done. Clearance is good now. Since the panel is taking longer than I anticipated to finish off, I took a few hours to to get some critical measurement from the engine I needed to send to Airflow Performance so I could get the fuel lines made. AFP currently has the fuel servo for a minor change, and they were waiting for me to call them with the injector line lengths so they could build them and ship all the stuff back to me. I finished making the cylinder cooling plates (an improved design to the down draft system) and took some heavy wire to simulate the fuel lines and route everything to make template lines. After a while of bending, cutting, rebending, etc I was satisfied with the routing and placed my order for the lines. They should be here by next Wed. I’ll then be able to fully assemble the engine! 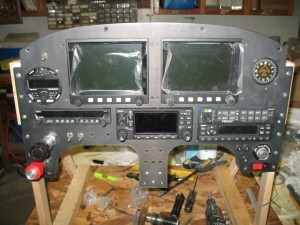 I found a new home to re-install the autopilot servo. Here, I am using the fiberglass spring template to make a new control arm for the elevator torque tube. 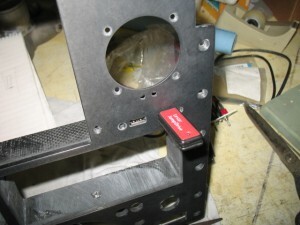 I’ll attach the servo to this tab. 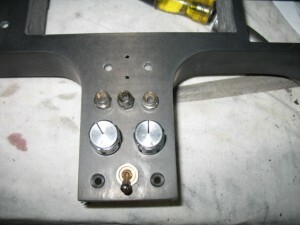 It will act as a carbon control arm for the servo. Today was dedicated to getting the panel finished so I can send it out for lettering. 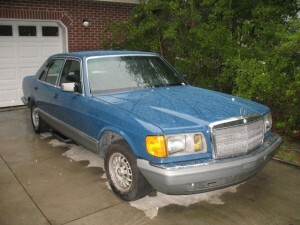 It has the longest lead time to get back to me. 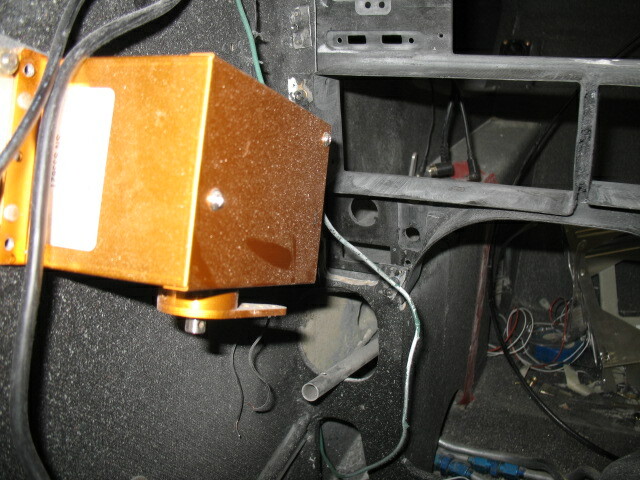 The radio cans were positioned and the nuts were bonded to the side boxes to hold everything in alignment after disassemble. 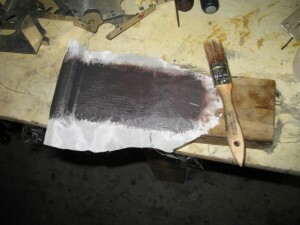 Next was milling the backside of the .200″ thick carbon panel down to .125″ thick in for some of the switches. 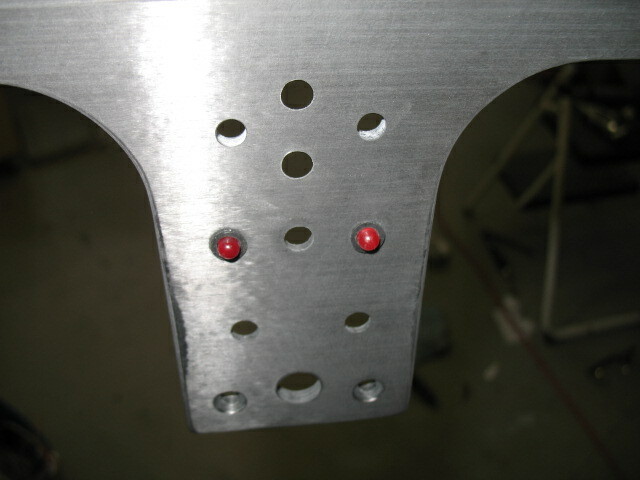 Some areas were milled to .060″ for LED lights. 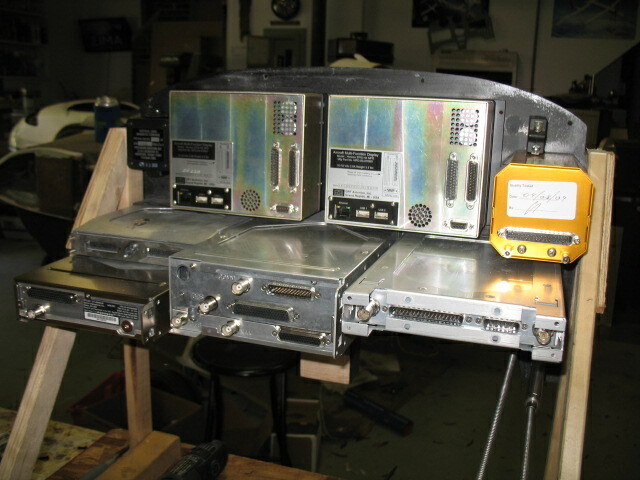 Two “Data Ports” were machined into the panel. These ports will allow the pilot to upload flight plans, software, maps, etc to the Grand Rapids Flight system, as well as down load recorded flight data (air and engine) to be analyzed after landing. The switch at the bottom of the panel is actual an air valve which will allow the pilot to have an “alternate static” port in case the fuselage port gets plugged. I think I may look for some different knobs. I don’t like the size of these all that much. I think they are a somewhat big. I started laying out the wiring for the GTR system. All these wires are in addition to the ones in the back of the plane which are for the engine monitor. This doesn’t come close to what needs to go into the plane. When I was a kid I used to think it was fun to unravel a mess of tangled string. 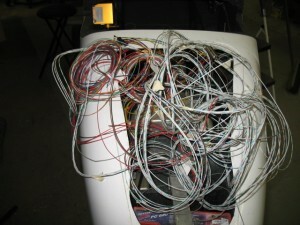 This wiring rats nest makes me think of those days long ago….. Finished installing the cans for the radios today and wanted to see how the panel looked together (for the most part). Found a minor lettering issue I’ll need to resolve before it is sent off. This is certainly the most advanced LongEZ panel in the world. I have never seen an EZ or Berkut with this much electronics. 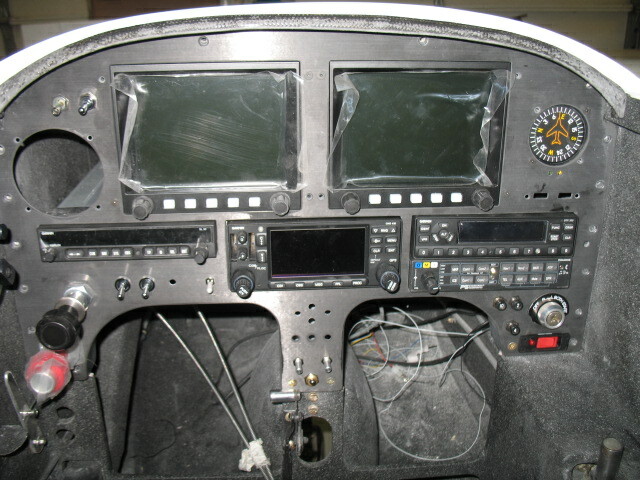 It is going to be a blast to learn to fly this bird with all the computers on board…. Wow, I sure have a lot of conectors to hook up to wire the panel….. should be fun! I finished up the work on the WVO car controller. I built a test stand to simulate all the connections and switches of the car and dang it, the thing worked as I originally designed it. I dont know why I thought it was a bad design. 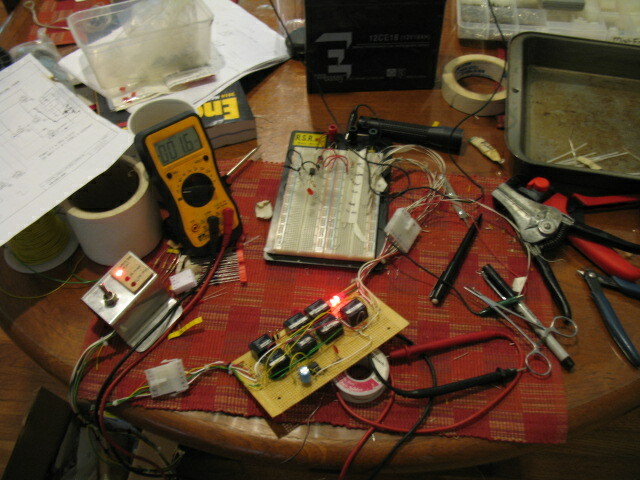 After a few hours work on the timer circuit it now works perfectly. Basically, in AUTO, the WVO system now waits for the coolant water to get up to 60C, turns on the oil supply valves, turns on an electric oil heater to keep the oil a minimum of 50C (it cycles as necessary). If the fuel in the supply tank gets to 1 gal, it shuts everything down. When the car is turned off in AUTO the system closes the oil valves and keeps the engine running for 30 sec to purge out the WVO before it turns the car off. 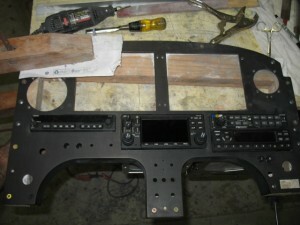 Very cool… The next step is to install LED’s and the switch in the dash with some nice lettering to make it look good. It is amazing to me that a commercial unit which does the same thing this does cost $350. Mine cost about $25. 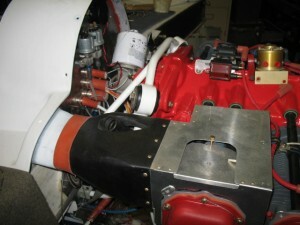 The engine is now on the plane. It really looks good now with the newly painted engine mount and engine. The is a close up of the firewall penetrations. 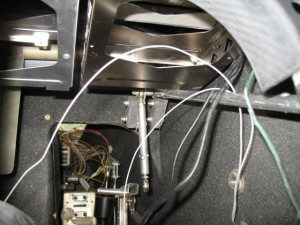 After all the wires are run, I will clamp the firestop tubing around the wires. The insturment panel came back to me unletter but with some nice glass work done around the leg openings and radios. 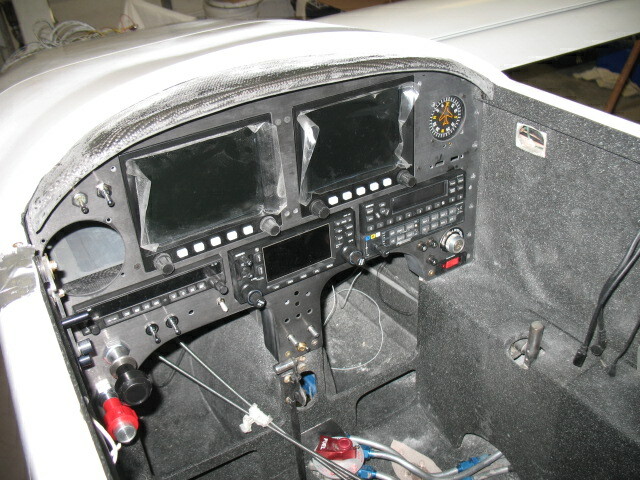 I spent all day fitting the radios to the panel so they would have exactly 1/4″ exposure from the panel. Tommorow, I’ll finish screwing the radio boxes to the panel and some other detail work which needs to be done prior to sending it off to be lettered.